Little Eats' guide to the Top 10 kid friendly cafes in Sydney's East. From Matraville to Randwick and Bondi, we have you covered. 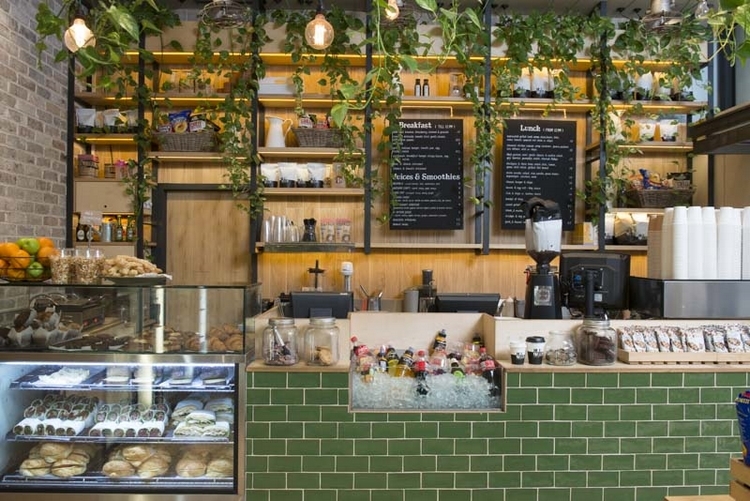 Little Eats have found the top 10 kid friendly cafes in Sydney’s East. This beautiful area is full of great cafes, however its sometimes hard to know which are the most family-friendly. 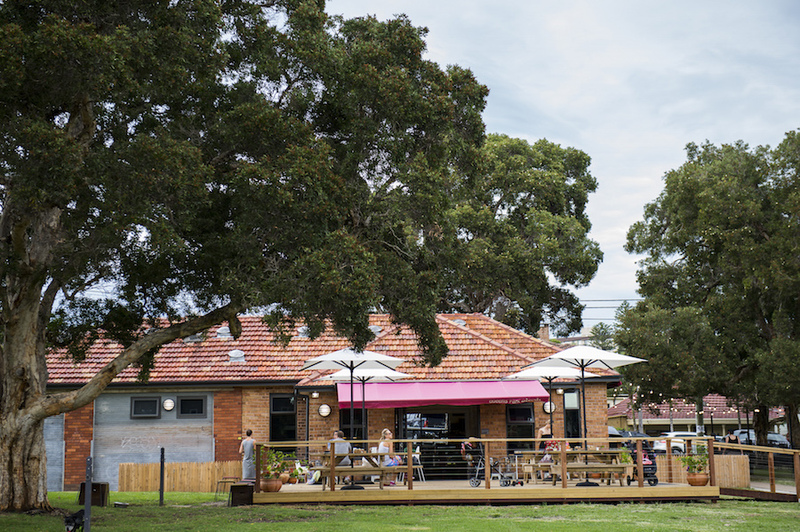 Located next to the playground in Queens Park, the old Queens Park Pavilion has been transformed into a trendy and family friendly cafe serving excellent Tobys Estate coffee and food. Come in a grab a healthy and delicious kids lunch box, brunch, lunch or early dinner. An Israeli and Mediterranean inspired cafe/bakery/deli in North Bondi with a family-friendly backyard and the best Shakshuka in Sydney. The bakery is a key feature with signature loaves baked daily. 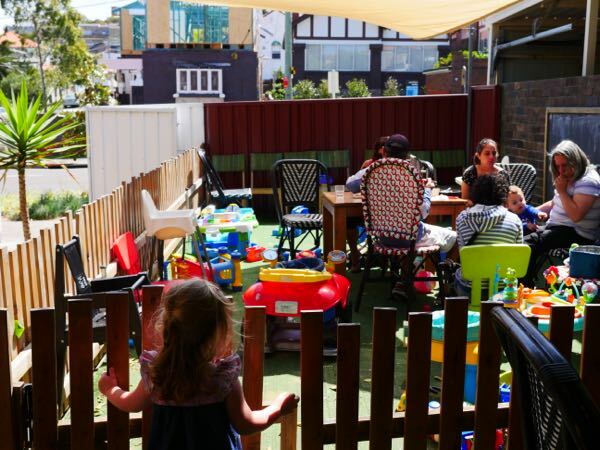 Relax in their new backyard with gated play area, herb garden and room to run..
A cafe designed with children in mind and not as an afterthought! Crayz Espresso serves excellent Crave coffee and offers an amazing kids playroom which is beautifully decked out with toy cars, books, crayons and even framed children’s artwork. You won’t be disappointed by the hearty, fresh and delicious meals. Rell’s Kitchen aims to offer your family a new ‘home away from home’. 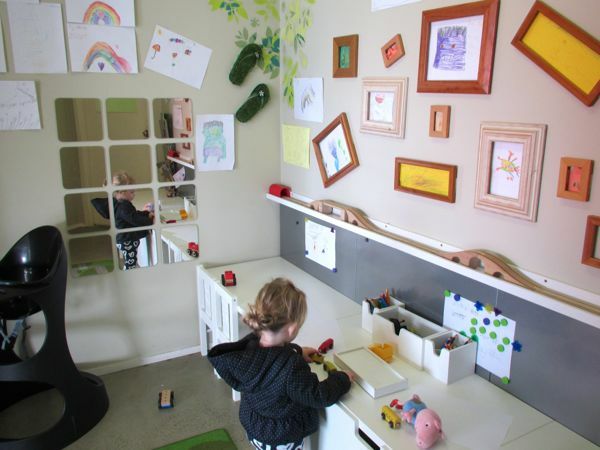 A warm and welcoming cafe with cosy corners for chatting, wholesome food and an awesome ‘Kid’s Corner’ for little ones. It features a chalk board, stickers, colouring, books and more! 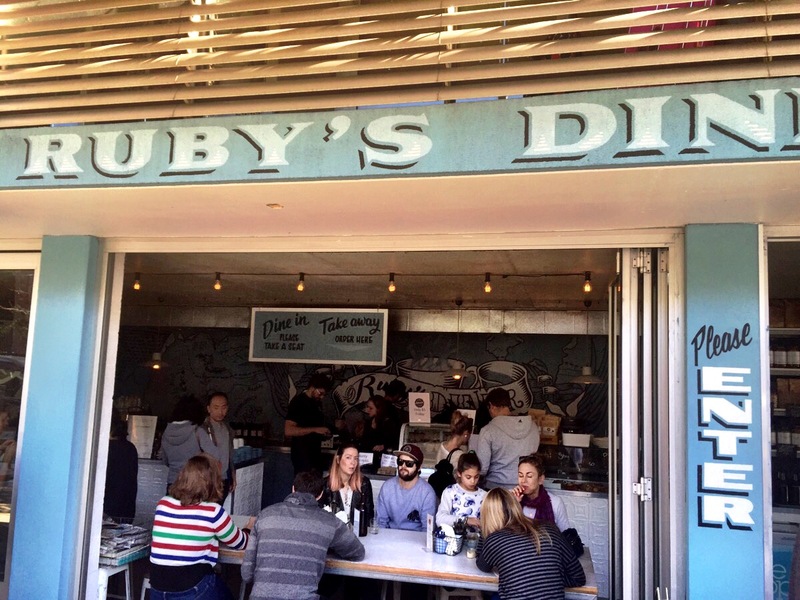 A relaxed hipster vibe and incredibly healthy and delicious food. 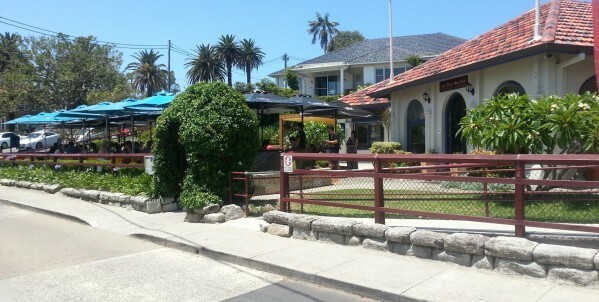 Grab an outdoor table and enjoy the sunshine, Single Origin coffee and thoughtful kids menu. An iconic Sydney landmark that has been transformed by Merivale to cater to the needs of the local community, especially young families. The ground floor is huge and has a market feel to it with a dedicated kid’s play corner. 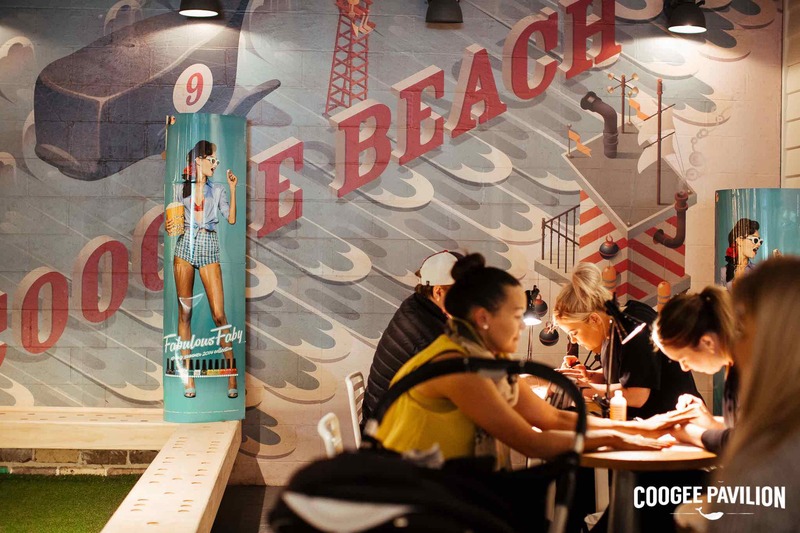 Play, eat, drink and be merry at Coogee Pavilion. 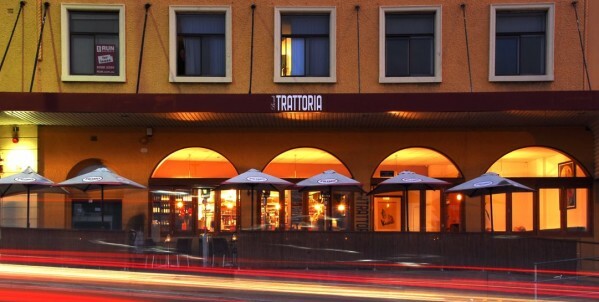 Located at the south end of Bondi overlooking the beach, Bondi Trattoria is fantastic for families. The staff are super friendly and it is always packed with children. Little ones will love their own special menu, the toy cars and parents will love the change facilities and amazing Italian food and coffee. You can’t go wrong! A cafe that proclaims ‘we love kids’ and where children can play in the enclosed garden area with toys whilst parents relax with water views. The mouth-watering Italian inspired menu will please all the family. A gourmet kiosk, located on the playground side of the dining complex at Centennial Park. It offers a more relaxed dining option than the restaurant. Grab salads, sandwiches, hot food, snacks and kid’s lunch boxes here at reasonable prices whilst little ones run on the grass or play in the playground. Bellagio ticks all the boxes for parents and children. 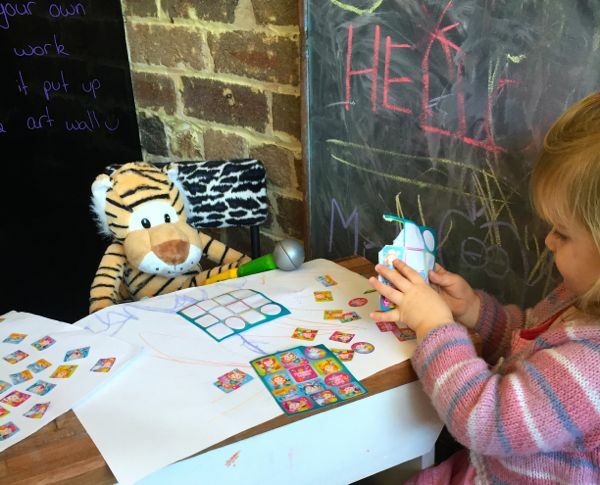 A trendy and urban café with an enclosed courtyard at the back (with its own entrance) for you to relax in whilst your little ones run and play to their heart’s desire. 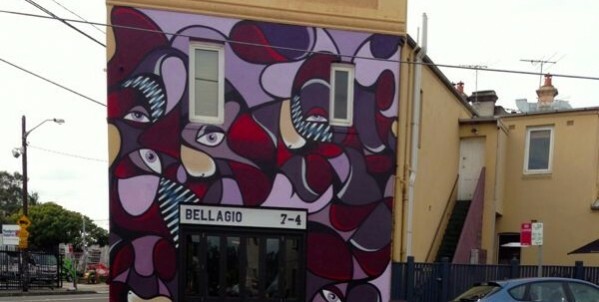 From its trendy mural on the outside of the building, great food, strong Campos coffee and kid friendly courtyard, you can’t go past it.